Saint Barbara lived in the 4th century and was raised by a pagan father, Diascorus who kept her secluded in a tower. This is where she secretly kept herself to prayer and even recieved baptism by a Christian priest without her father knowing. Her faith held presidence over his decisions, and when she had finally confronted him with her faith, he was enraged and resorted to torture as a means to convert her, but she did not. He finally renounced her as his own, and executed her by beheading with his own sword and hand. He later met divine justice as he was struck by lightning on his way home, and incinerated. 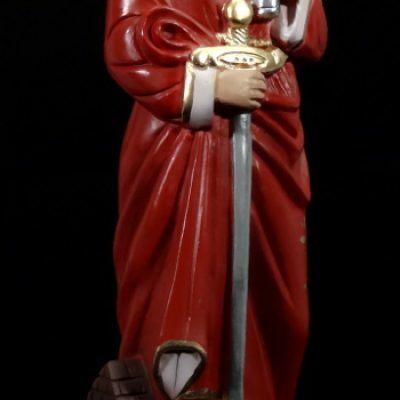 Saint Barbara is the patron of lightning, explosions, prisoners, architects, mathemeticians, and miners.